The purpose of this page is to provide an opportunity for alumni of The School of Sacred Heart St. Francis de Sales to stay in touch with the school, to learn more about what’s happening and to help former classmates keep in contact with each other. Alumni of the school are an important part of The School of Sacred Heart St. Francis de Sales Community. They are in every sense, the school’s history. Strengthening connections between The School of Sacred Heart St. Francis de Sales and its alumni helps strengthen the entire community of families and students, past and present. Our annual newsletter provides our alumni with the opportunity to catch up on The School of SHSF news and the happenings of their classmates. This website will is another way to communicate school news to our alumni throughout the year. If you would like to visit the school or become more actively involved, please contact the Alumni Office at shsdevelopment@comcast.net . The faculty, staff, and students of The School of Sacred Heart St. Francis de Sales are always eager to hear from past students! GET INVOLVED! LOOKING FOR WAYS TO STAY CONNECTED TO THE SCHOOL OF SACRED HEART ST. FRANCIS DE SALES? Share your professional and life experiences with The School of Sacred Heart St. Francis de Sales community by agreeing to be interviewed for the newsletter or by proposing an article that you author. Your experience can inspire others! Be a class correspondent. Keep up with members of your class by asking them for their news to include in the Class Notes section of the newsletter: find “lost” members of your class. 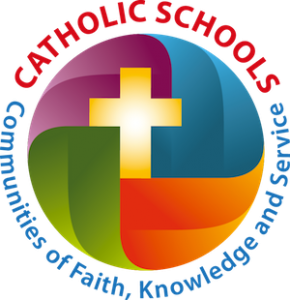 Support the school with your charitable gift so that the benefit of The School of Sacred Heart St. Francis de Sales education remains accessible for current children. Every contribution, regardless of the size, helps The School of Sacred Heart St. Francis de Sales maintain its educational values every day. To make a gift to The School of Sacred Heart St. Francis de Sales, call (802) 442-2446 or send an email.